Did it ever end up rising? 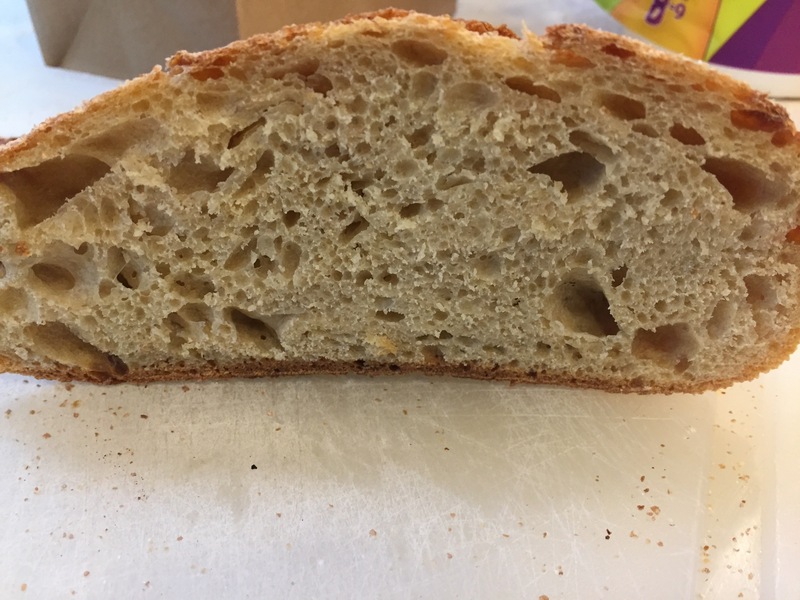 Just want to say that I made this bread on the weekend, using 20% White Kamut. It was delicious and I got a beautiful open crumb. Thank you! Thanks for this recipe. Here is my effort. 20% Bob’s Red Mill Kamut. 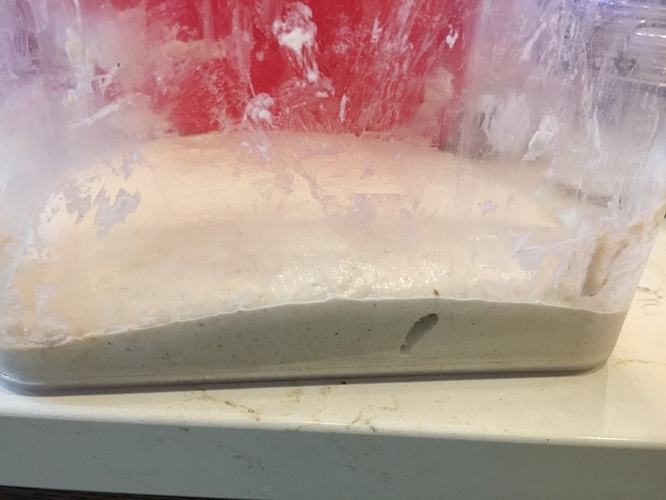 74% hydration, 10 hour bulk ferment @72°F, 10 hour retarded proof in fridge. Great oven spring. 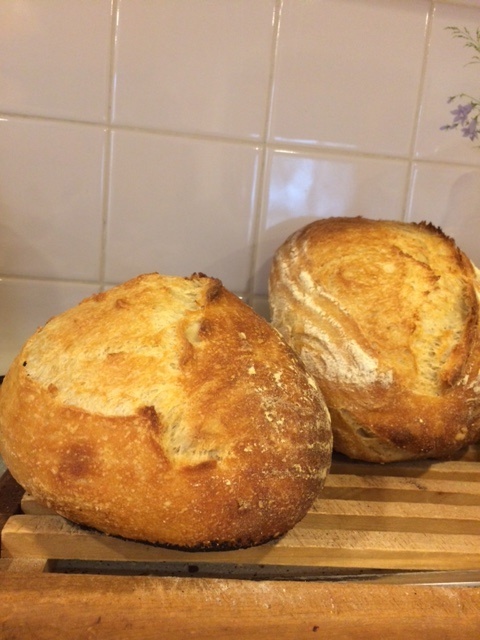 Batard is 5 inches high and boule is 4.5 inches high. 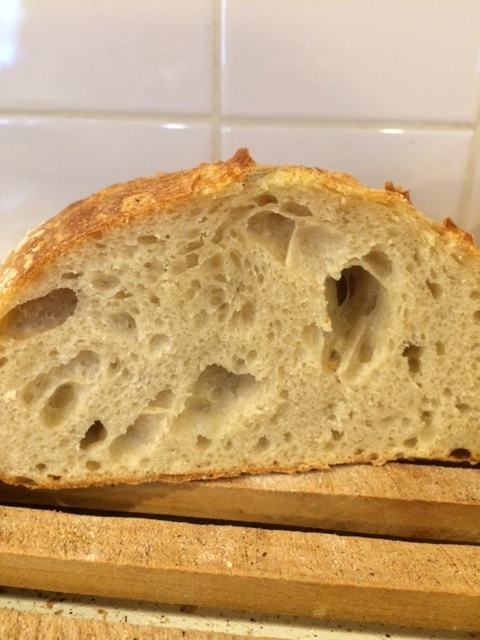 Soft, open crumb. It needs a little more salt for flavor in my opinion even though I usually use about this same low percentage of salt in my breads. Those are beautiful loaves! I am a big fan of Kamut !! Thanks. 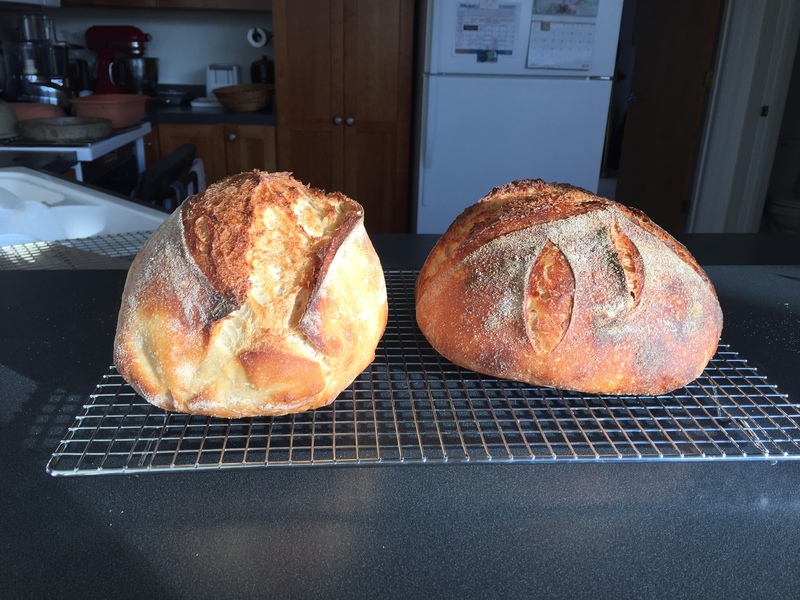 These were my first Kamut loaves. I may try a higher percentage of Kamut next time. The wheat has a nice color when baked. 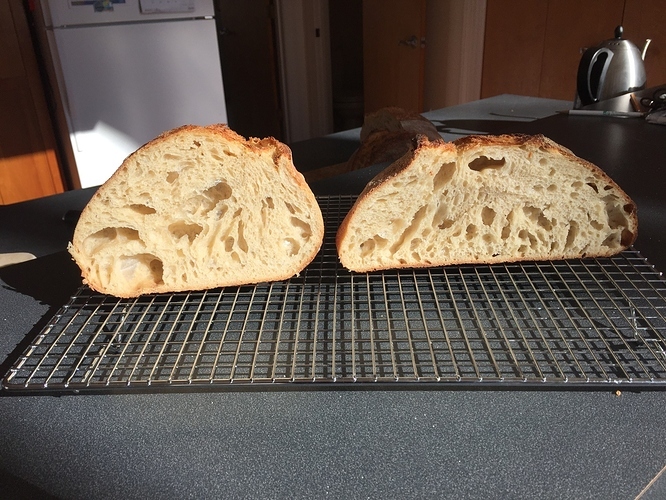 One of my favorite recipes is the Sicilian no knead. Eric notes in the recipe that subbing Kamut works. I mostly use Kamut because I keep it in my stock, always. And although the recipe is written with instant yeast, I follow Eric’s guideline of 1/4 cup starter instead of instant yeast. What a sensational recipe. I tried the 20% version. New to Kamut so I underproofed it b/c I was getting nervous. Still it turned out great. I have a chilly house so will not be so nervous next time. That looks awesome, @hester! Well done! I had only white Kamut so I tried with that. Can’t wait to try with whole grain though I expect the fermentation time to be a bit shorter b/c of it. I did another 2 loaves, this time with Whole Grain Kamut. Left the %age at 20. Hydration 75%. I’m so happy with this recipe. Works like a charm. Dough got away from me so had to bake sooner than I’d expected. Cannot wait to taste. Thank you. I am so happy with it. Thanks for the recipe. Just stupendous.